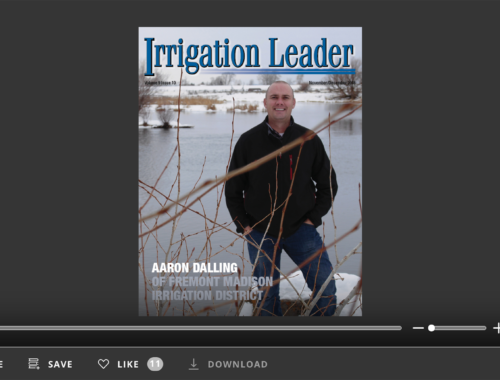 This issue of Irrigation Leader magazine provides a personalized view of some unique individuals in western water leadership positions. Our cover features the Honorable Estevan López, who was confirmed by the United States Senate to be the 22nd commissioner of the U.S. Bureau of Reclamation. Being commissioner is a big job; Commissioner López is responsible for a 5,500-person agency that provides water to 10 million acres of irrigated farmland and drinking water to 31 million people in the 17 western states. Reclamation is also the second-largest producer of hydroelectricity in the country, with 53 power plants. Our interview provides a good sense of his quiet, steady leadership and personal integrity—all traits that will make him successful. Mr. Cole Perryman shares with us information about the Oklahoma Comprehensive Water Plan and its vision to move Oklahoma forward on the management of water. 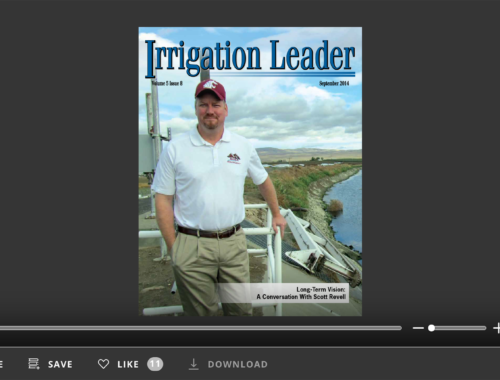 Mr. Russell Isaacs discusses the challenges experienced by the member of the Oklahoma Panhandle Agriculture and Irrigation Association and their efforts to maintain and build a viable irrigation-based economy. 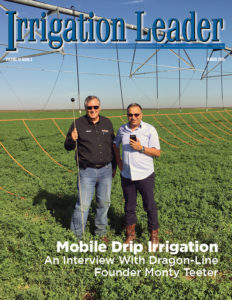 Lugert-Altus Irrigation District General Manager Tom Buchanan describes his district and his farmers’ efforts to conserve water supplies and modernize their irrigation practices. Mr. Todd Newhouse describes the history of wine growing in Washington State’s Yakima Valley and how the growers have organized for the betterment of their industry. Ms. Melissa Aquino, president of McCrometer, discusses the company’s 60 years of history, farmbased origins, and unique service and problem-solving philosophy. In my conversation with Ms. Aquino it is clear that she is exceptionally intelligent and has tremendous business acumen (as evidenced by her background in chemical engineering and her résumé); however, her approachability is striking. She is definitely a leader, and I am certain the western water community will become more acquainted with her in the future. “Call Bob Wietharn in Clay Center,” Kenny Nelson, general manager of the Kansas Bostwick Irrigation District told me. “He has a pretty good screen that he invented for pumping out of the river.” Speaking with Mr. Wietharn was a real joy. Kenny was right; Mr. Wietharn does have a pretty good screen. Others think so, too, as he has sold them around the globe in 25 countries. A real American story that only required a good idea, hard work, and leadership. 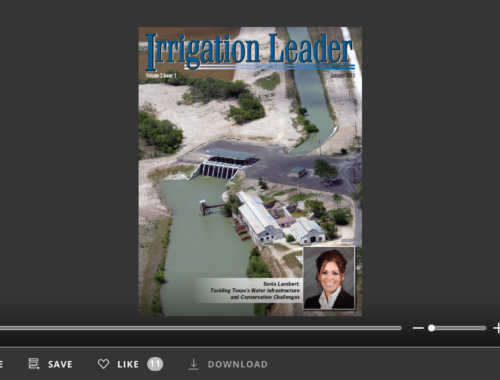 We hope you enjoy this issue of Irrigation Leader and reading about the featured individuals. They are all great people and real leaders.